Last week, a story was published by CNBC about a couple who sold their home, for above the asking price, without any agent or online portal involvement. Instead, they entrusted artificial intelligence (AI) with the job. The technology seems to have worked admirably. This case study tells us explicitly that AI is not just a tech solution, it is a full disruptor. It will create winners and losers in equal measure and, once the dust has settled, the world of property, especially management and procurement, will look very different indeed. Thousand Oaks, California - a couple hired REX Real Estate Exchange to find a buyer for their home. REX uses big data and AI algorithms to identify people who might be interested in buying a particular property. Those people are then targeted with direct ads on websites and social media. The house was put on the market for $880,000. It sold for $890,500. What’s more, REX charges a fee of just 2%, rather than the average 5-6% that an agent or portal in America would charge. 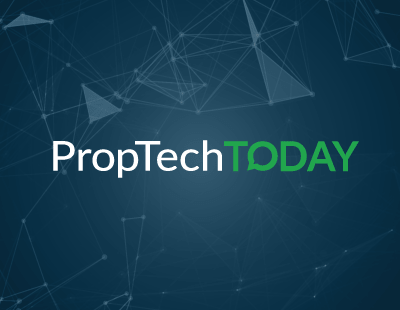 While this story is itself fascinating, I think, more importantly, it signifies an important milestone for technological disruption within the property industry. And I think there are two areas of property in particular which will be most affected, in the short term, by artificial intelligence. The world of property management is ripe for AI disruption. I say that because many of the processes that the sector requires follow a very logical pattern. Finding tenants, processing payments, addressing maintenance issues and so on, all of these things follow regimented, predictable processes. As such, the sector is the perfect testing ground for AI, a place which, while the technology is still evolving, offers the perfect opportunity to see how sophisticated the AI can become. And here’s the really important bit, the bit that many will find troublesome: artificial intelligence is not here to offer solutions, it is here to fully disrupt. In the short term, this exogenous innovation will see people lose their jobs. There is no doubt whatsoever. The processing and analysis power of computers dwarfs that of the human being and there’s nothing we can do to change that. However, in the long term, human workers will find their way back into property management, albeit with roles that look very, very different to how they do today. The reason for initial job losses is that one of AI’s biggest pulls is its cost-saving potential, cutting down on workforce is a major part of this. It’s human nature to be eager, over-excited by promises of success. So we’ll see people drafted out of property managements in favour of computers. But, after this period of disruption and job losses, the dust will settle and humans will be brought back in to work alongside the AI, oversee its efficiency and handle the areas of management that we soon discover AI isn’t too hot at, things like problem solving and conflict resolution. It will take a little time, but we’ll soon learn that we need both in order to breed long-term success, and some of those roles which were given away will be given back. Another subsector of property destined to ruffled by AI is procurement of homes and offices, not dissimilar to the REX story that I started this article with. This is already happening in, for example, the form of visual search. AI can now study images of a house before going away and finding other similar houses. The theory is, if you liked that one, there’s a good chance you’ll like this one, too. As REX has proven, this whole process can be done without the need for any property professional input. In order to learn a bit more about this, I reached out to someone who knows far more than I. “Combined, data about people and property should be able to provide skilled users of AI with the training data necessary to build sophisticated demand/supply matching algorithms. And who has this data, together with the scale and necessary financial strength to invest in just such a tool? Well, Countrywide for one. I could leave it there, Antony’s words tell us a lot. But I want to reiterate two of his points. He mentions ‘skilled users of AI’, it’s important to note that these people can very much be agents, property managers, etc, they don’t need to be exogenous tech-heads. And secondly, going hand-in-hand with that, is his point that it is the professionals themselves who own the data that AI needs, not the the tech company building it. This means that, despite the impending disruption, traditional property still holds a lot of the cards - AI cannot happen without them. With AI an inevitability, agents must, as Anthony suggests, make the most of it by jumping straight in as soon as possible. In order to survive, property firms must be the driving force behind AI innovation and disruption, not the helpless victim. To round this off, I want to offer you two more quotes/pieces of information which I think have a lot to offer to this conversation. The first is to state that, in November 2015, Mckinsey & Co. put together a heavy hitting article about technological unemployment, stating that 5% of jobs were able to be fully automated but 60% of jobs could have 30% of their constituent activities automated. That’s what property needs to be doing. Making their own voice heard in the AI conversation, and identifying the areas of our industry where, no matter what, the mind surpasses the machine.